The main purposes of every education website is to sell online courses. Yes, the final purposes is seeking more sales for the online courses you created on your website. Therefore, right after you have completed your online courses, you should take your first steps on marketing strategies to promote your courses to market it and drive more sales. And one of the most effective strategies that your should concern about is email marketing. This one is quite a simple but definitely an useful tool for your businesses. In fact, email marketing is one of the most profitable channel that can help you to reach more sales and interact with customers. In 2018, the ROI (return on investment) of email marketing campaign is averaged of 3800%. That means for every dollar you spend on emails, you will get $38 returns. Besides, approximately 66% online customers make a purchase through marketing email which will be a motivate for you to use email marketing on your marketing strategies. And, in this email, I will guild you on how to promote and sell online courses with email marketing campaign. I also give some tips to set up the best campaign to engage with your customers to get more sales. The first step which will partly decide the success of your email marketing campaign is building database to send email to. Before sending any email, you always need an email list of people who are take interest to here from you, who are already your customers or who will be likely to be your customers. List of people who have never bought from your website. List of existing customers who recently bought from your website. List of people who have bought from your website for a while. You can collect the email list from any sources. But, it will be better if the people in the list have interest in your product and they will have chance to buy your courses in the future. Each group will have different characteristics that you will need to understand clearly about their needs to make the best content for your emails. For example, you can send the email of inviting people who have never bought from your website to join the promotion of 20% discount for NEW CUSTOMERS but cannot send the same email to existing customers. So, how can you collect contact to build your list? Despite of the annoyance for users sometimes, many website is launching this kind of advertising and they work really well. Differently with the normal sign-up form, the pop-up will reach much attention of users and they can be personal depending on the behavior of your user. They are more flexible in term of when, where and how they appear. You can set which pop-up can appear for new audience, which one can appear for returning audience, etc. Besides, with many pop-up plugin, you can use analytics to determine the time to show a pop-up in order to raise your list. Exit Intent Pop-up (Pop-up will appear when user are likely to exit the page). Timed Pop-up (Pop-up will appear after a visitor has remained on your website for an amount of time). Scroll Pop-up (This type will appear after a user has scrolled down your page a certain percentage). Entry Pop-up (Pop-up will appear as soon as a visitor your page has loaded). Click Pop-up (This type will appear when a visitor click on a link or image or word on your website). You can look at our article on The best pop up plugin for WordPress to discover and find out the best solution to use pop-up on your website. Carefully considering your heading, content and call to action in order to force visitor fill up the sign-up form in the pop-up. Remember to keep the form really simple such as just asking for name and email address or just email address. You can use valuable content, particularly your blog, to generate lead. Giving ebooks, tutorial videos, tips for users FOR FREE will be such an attractive way to force the users to sign-up to get the content. But, you need to discover which content are your users are concerning about. The content needs to be much valuable for them and the users couldn’t get anywhere else which will motivate them to get it from you. One of the fastest method to collect list is to purchase for it. This is the personal choice that can help you quickly get the list to kick-start your email campaign. However, when taking with this method, you need to be aware with the GDPR regulations on data privacy of EU users. With the development of Social Media with billions of users, especially Facebook will be a great platform for you to generate list. Facebook is much more powerful than what you can image. This type of social network can help you to resurrect older contacts, re-engage them and keep relationship between them and your business. With advertisement on social network, you can promote your offer to encourage more people to sign-up to your mailing list. Moreover, with Facebook Lead Ads, the user can sign-up right away without leaving Facebook. This makes you quickly get your prospect’s email address. Additionally, Facebook allow you to set up call-to-action at the top of your Facebook Business Page which is also a good tactic. Besides, using Facebook Groups can also ideally a great way to generate leads. The existing contact list in your email campaign will be a valuable sources to reach more leads. You can leverage the existing list to share high-quality content and encourage them to forward the email to their friends. For example: inviting friends to receive 20% discount, inviting friends to receive free ebook, etc. After generating your own email list, it’s important to segment the lists to carefully take the next steps. You can segment be demographics, geographic area, purchased products, interest, etc. Seeming to directly speak to the audience, introducing who you are and what your online courses offer them. Announcing audience that you’ve created your new online courses and letting them know more about it. Building relationship between the customers and your business by sharing tips, useful sources that can help them to trust you and be a loyal customer. With each email, you can clarify more information about your online courses. Remember to include link to the courses in case the readers are getting interested in and want to purchase for your online courses. However, with each group of email list, you need to send different email content to make them feel that you take care about them and you really know what they want. This list of people is the most difficult group to send email marketing to. Remember that they have never bought from you. So, basically, some of them might have never heard of you before. The purpose is to slowly engage with them, build trust of them with your business to get positive impression. You should show them that your business can meet their demand that no one can do. The subject line and content of the email will decide that the recipients read or not and click through to your sale page or not. Your existing customers are easier to keep in touch with. You shouldn’t annoy them by sending too many emails. Just keep informing them about upcoming courses and events that you will be interested in. Newsletter is normally a great way to send them valuable content. Remember to ingeniously insert links and previews of upcoming courses with incentives for inviting friends to sign up with email marketing. Don’t make the recipient be confuse about who you are and why they are receiving email from you. It will be better if you mention your name and your company which make your email be specific and recognizable. For example: “Tracy from ThimPress” is much more engaging than giving nothing. Do not use your personal email in email marketing campaign. Try to make it more professional by starting with an email from your business with the form of [email protected] It will give them feel that they are receiving emails from a real person who working for a real company. Subject line is the most important thing that a recipient open your email or not. This is the only part that all your audience will see regardless to where they read email (from Laptop, Mobile phone, from website or mobile app, etc). Try to start your subject line within 50 characters in short space. Remember to be specific, use clear and simple word to encourage audience to open the email. 55% of users read emails first on their smartphone. Therefore, do not forget to make your email responsively with any device from laptop to smartphone. You can start with a simple layout and optimize font size. Before officially sending any email, remember to test with your phone first. You have the option of linking the call-to-action on your email to course page or a landing page. Whichever you choose, you need to make sure you have optimized the page before launching email campaign. Remaining the same messages as the content of your email is a must. With the landing page, you can start with a headline to grab attention of the audience. Summary what the course is about in some words. Then, telling story, giving benefits of the course, giving offers and pricing plan, etc. 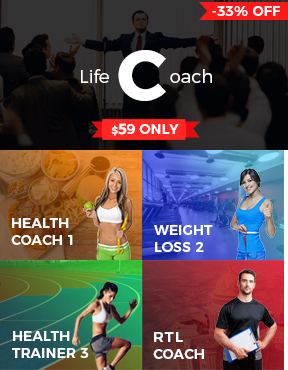 In conclusion, you can use landing page to drive more people sign-up for your online courses. 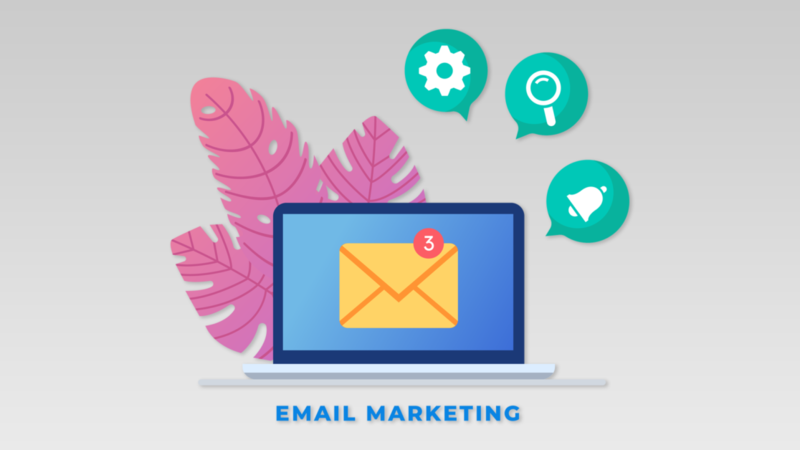 To support you with email marketing, there are tons of services which are both free and paid such as MailChimp, GetResponse, CoverKit, Constant Contact, etc. You can take a look at the list of best email marketing service to choose the best one for you. So, what are you waiting for? Why not get started today and get millions sales of your online courses in the future.